Team Tree got together to enjoy a slice (or two!) 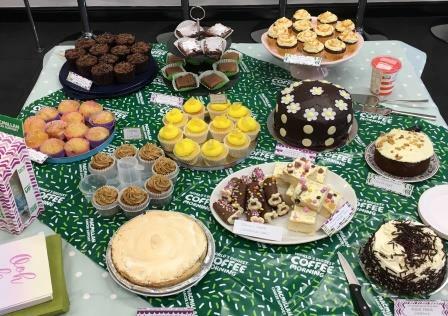 of cake to raise money for Macmillan cancer support. A big thank you to everyone who baked and donated to our delicious cake-fest! Every slice helps make a difference and we raised £132 for this worthwhile cause.